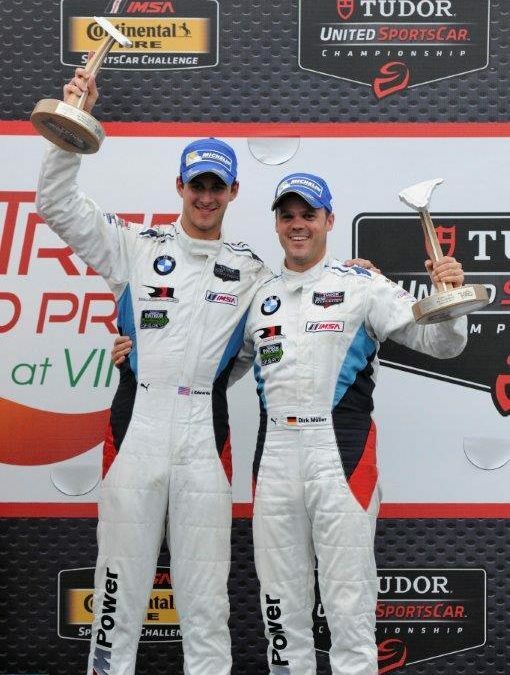 Woodcliff Lake, N.J. – Aug. 24, 2014 . . . BMW Team RLL put in a strong performance in today’s TUDOR United SportsCar Championship Oak Tree Grand Prix at Virginia International Raceway, finishing 3rd and 4th in the headlining GTLM class. Round Ten of the 2014 TUDOR United SportsCar Championship, the Lone Star Le Mans, will take place at the Circuit of the Americas, in Austin, TX, on Saturday, September 20th. Follow BMW Team RLL on Twitter at @BMWUSARacing for “from-the-pit-box” updates all weekend. More information on the program can be found at www.bmwusa.com and www.imsa.com.